If you’ve been arrested and charged with a DUI in Maryland, you need experienced legal representation immediately. Do not rely on the prosecutor or the police to protect your interests. There are many myths and urban legends going around, but ultimately the only way to avoid a conviction is to fight your charges and win. Despite the facts, there are many dangerous and simply untrue myths that have been circulating over the years. This is false. DUIs are misdemeanors in most cases. They carry potential jail sentences and become part of your permanent criminal record. In Maryland, if you seriously injure or kill someone in a drunk driving accident, your charges can be turned into felonies. Plus, repeat offenses can carry lengthy jail terms. There is nothing minor about a DUI. This one is false too. The so-called “legal limit” is just the threshold for presumption of impairment. In other words, if your blood alcohol content (BAC) registers .08% or higher, then the law actually presumes that you are impaired. In that case, you may attempt to defend yourself by presenting evidence to rebut that presumption, but you can still be charged and convicted even with no breathalyzer test results. Breath and blood tests are just evidence, the same as field sobriety exams or witness statements. Many people have been convicted of DUI based on video evidence or the testimony of a police officer. False again. In fact, Maryland law allows prosecutors to use your refusal as evidence of your impairment. If you refuse to take a chemical test, you will lose your license for 120 days automatically for a first offense. Likewise, if you refuse a field sobriety test, the police officer can place you under arrest immediately. Actually, yes. 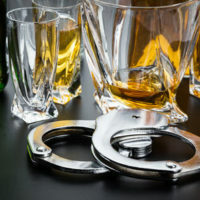 Provided you are able to reach an attorney and the attorney is able to be present within 2 hours of your arrest, Maryland law allows you to have an attorney present for the breathalyzer test. False. Police officers can manipulate the outcomes of tests or administer them incorrectly. Therefore, effectiveness is not a guarantee of accuracy. Completely false. Yes, there are times when people have very poor cases and will likely be convicted based on the State’s evidence. However, in the vast majority of cases there is at least some argument to be made that the stop was improper, the officer lacked probable cause, or evidence was acquired incorrectly. A skilled attorney can work to chip away at the State’s case until prosecutors are willing to offer a decent deal. There are also times when you are going to trial, regardless of whether you want to or not. If the State is unwilling to negotiate, a lawyer can fight to ensure that the trial is fair and that no extra or improper charges are added. Do not take chances by trying to work it out yourself. Too much is riding on your case. If you’re facing criminal charges for a DUI in Maryland, contact the Law Offices of Todd K. Mohink, P.A. today, and get the facts.